There's no place like 192.168.2.1; your home is the place where you feel you belong to, at rest, and be yourself. To make your home a smart home with the innovative tech so you can have the best, we have these smart home gadgets. Momo Smart Home Assistant: Momo is a standalone security system, smart home super hub, and artificially intelligent assistant that makes smart homes safer, more comfortable, more accessible, and more efficient. Its self-learning standalone security system that features 360° night vision camera, motiondetection, facial recognition, and intelligent sound detection, and can also work with any additional security systems. It features a full suite of connectivity systems and an open architecture that allows it to automatically sync with and manage nearly all smart home devices, including standard appliances plugged into smart plugs. It employs machine-learning techniques to learn your habits and surrounding preferences, and suggest automations for your home. 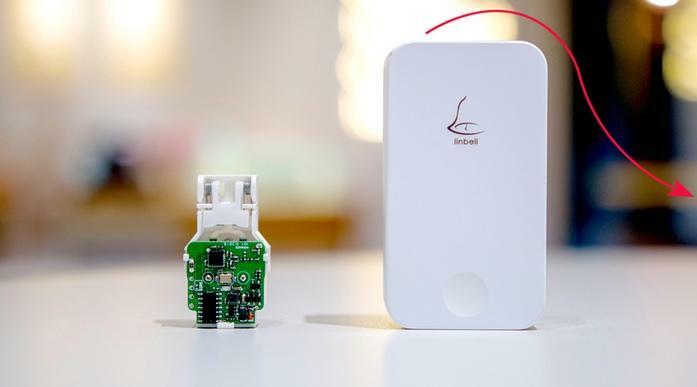 It connects to wireless doors or windowsensors, moisturesensors, additional security cameras, and uses them to recognize who is there and when they are moving. Apart from these you can even keep track of the health of family members wearing smart bands. Its app lets you view and manage all these devices. It's smart enough to activate your security system when you are asleep or away from the home. It also streams live video of unusual events detected, and even connects you with people in the home if need arise. Its intelligent sound detection can tell the difference between normal home noises and other unusual sounds like breaking glass. It also provides wireless two-way video and audio communication. It connects to Wi-Fi and lets you make and receive video calls through any connected AV device, like a smart TV, computer, or mobile phone. Apart from this you can also make Wi-Fi voice calls using its speaker and microphone. It can detect unsafe air level, and will call for assistance, sends an alert and sound an alert. It can also create different sets of automations to activate for each member of your household that enters the room or the home. You can save on your energy bills by leaving device management to Momo. Its AI allows it to learn your patterns of smart home device usage and behavior, and suggest sets of actions for you to consider. You can chat with Momo via Telegram, Facebook Messenger, or Skype. 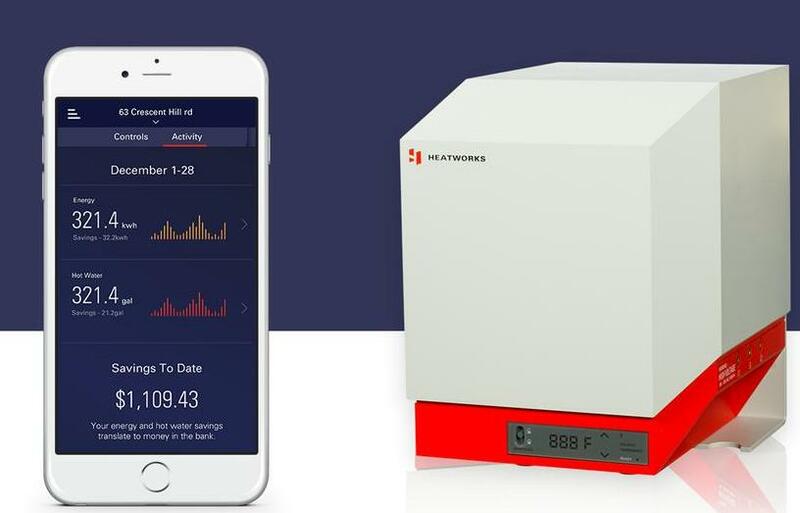 You can create pre-set modes for different scenarios, stream your favorite web radio to connected Bluetooth speakers, set the thermostat to your perfect temperature, adjust the lighting and more. It provides a wide variety of remote functions, like remote activation of devices in it's network, uses 128-bit encryption running on proven software, encrypts all data that goes through it, runs on an open platform and works with all your other devices without losing any functionality. It works with natural language virtual assistants like Google Home and Amazon Alexa. 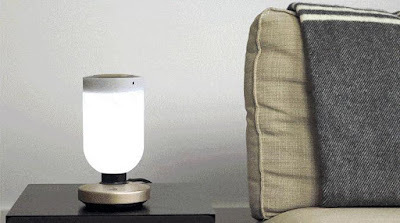 This smart home robot automates your home and lets you have something for yourself. Pre-order: $279. 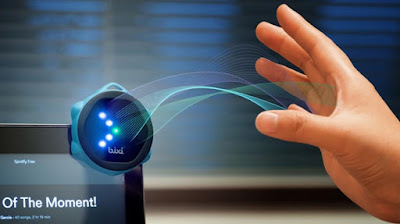 Bonjour: Bonjour is a smart clock with artificial intelligence that acts as your personal assistant. It comes with a human voice and mannerisms, learns about your agenda and hobbies, and lets you make the most of each day. It's smart and can adjust your wake-up time if certain conditions are fulfilled. It tracks traffic conditions, weather and if there are any issues then it wakes you up earlier than scheduled time or lets you sleep in. It integrates with your calendar, knows your agenda, and automatically set alerts so you wont miss another meeting again. 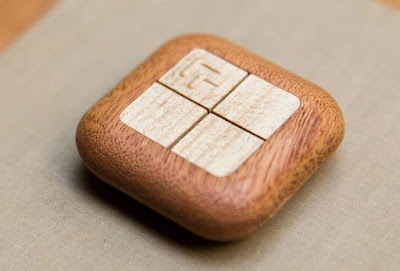 It seamlessly connects your iCal, Google Calendar, Google Map, Uber and more. It connects with your Pebble, Apple Watch, and holidays Sleepsensor and provides you with the insights and data to improve your sleep routine. Apart from these, it connects to many popular tracking devices such as Fitbit and Misfit to provide you with a comprehensive sleep analysis. It also integrates with devices like Fitbit, Apple Health, or Withings and provides fitness tracking and planning. It also acts as a voice-controlled smart hub for iOT, home automation and smart home devices making your home even smarter. 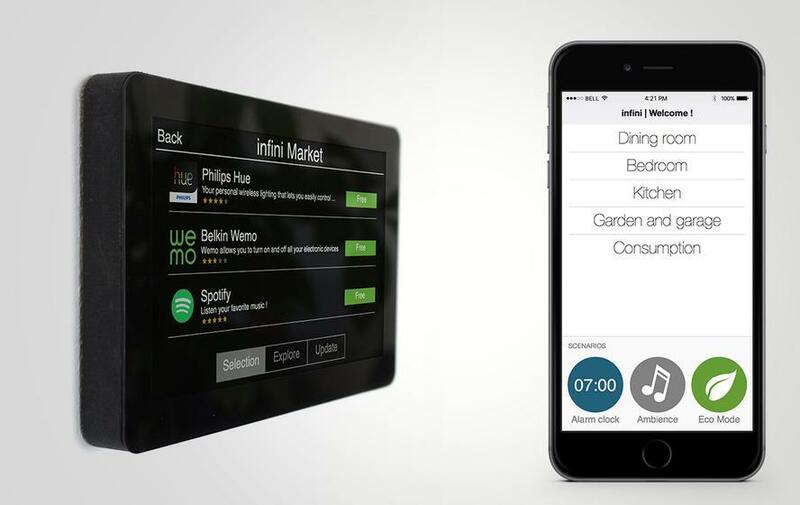 It also integrates with IFTTT; integrates with your favorite smart home devices such as WeMo, Philips Hue and more. Its Amazon Alexa compatible, displays images from your security or baby cam, wakes you up with your favorite song, receive messages, and recharge your devices. It plays music, your favorite songs from Spotify or webradio stations. It's compatible with Google Play, AirPlay, Deezer and Soundcloud. Pre-order: $169. 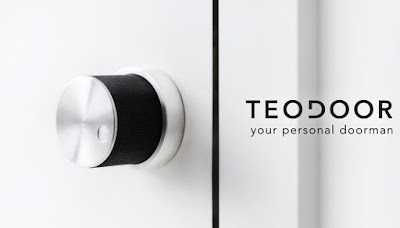 Teodoor Smart Lock: Teodoor Smart Lock uses secure Bluetooth and turns your smartphone into your new door key. It's smart to know when you are approaching your door to unlock it, and also locks the door behind you. It sends you a notification if any one tries to force your door open. And if it's set to Vacation Mode, you're notified of any activity whatsoever. You can always use your existing keys to unlock your door just in case you don't have your smartphone with you. It installs easily on the inside of your existing lock on a wide variety of doors. Its app is compatible with iOS and Android, gives you give quick access to your daily nanny, weekly cleaner, one-time visits and more. Buy Now: $139. Bixi Smart Controller: Bixi is a smart gesture controller that lets you control any smart device by simply waving. It senses your in-air hand gestures and commands your favorite smartphone apps, LifX and Hue bulbs, Internet Speakers, GoPro and many other IoT devices. It works via Bluetooth Low Energy protocol and the Bixi App connects Bixi to other devices based on Wi-Fi or other protocols. You can even control two devices or apps at one go. All you need to do is simply choose them in its app, connect Bixi to your iOS or Android smart phone and use its app to set up the device profiles you wish to use Bixi for. Its IFTTT channel is said to going live very soon. More info. Coin Smart Home System: Coin is a smart home system that lets you monitor important information about your home at anytime, anywhere. It makes your home smart, secure and more intelligent. Place it over the ground or on the wall, and it can detect people attempting to enter by forcible entry, crawling, walking or jumping. Place it over doors and windows to monitor opening and closing, bathroom or washbasin to monitor water leakage and more. Temperature and humidity of your home can also be set and monitored as well. It forms an intelligent mesh network and connects to cloudserver via gateway, and you can select the data transmission method, that notifies you when the event occurs or streams the data at regular intervals of time. It alerts you about important events and notifies you by text message, email and push notification on its app. Currently it has a range of 200 ft, and can be easily installed even in difficult to reach places. Coin and its gateway are fully compatible with Bluetooth 5. Pre-order. 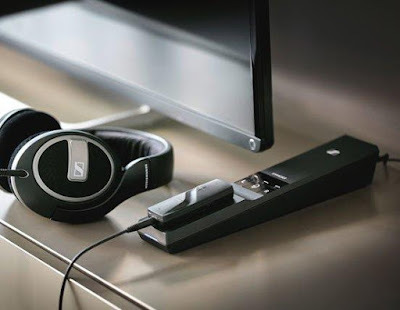 Sennheiser Flex 5000: Sennheiser Flex 5000 is an advanced audio system that lets you move around (within a range of up to 30 m) while listening. It features three different hearing profiles to enhance TV, movies or music, to choose from. And for added clarity, it features a unique Speech Intelligibility that reduces TV background noise. This sleek transmitter/receiver improves your TV viewing with a personalized listening experience. It turns your wired headphone into a virtual wireless listening system and lets you customize the volume, sound profile and speech intelligibility to your needs. Buy Now: $ 199.95. 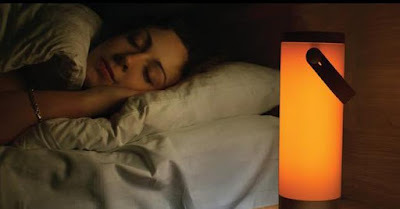 Up Smart Light: Up Smart Light is designed for your healthier sleep and wake up cycle. It wakes up with a dim yellow light and gradually changes to bright yellow, so you wake up naturally. It features 16 million colors, Bluetooth speaker, power bank (6000mah) to recharge your devices, unlimited brightness levels, different lighting modes and more. 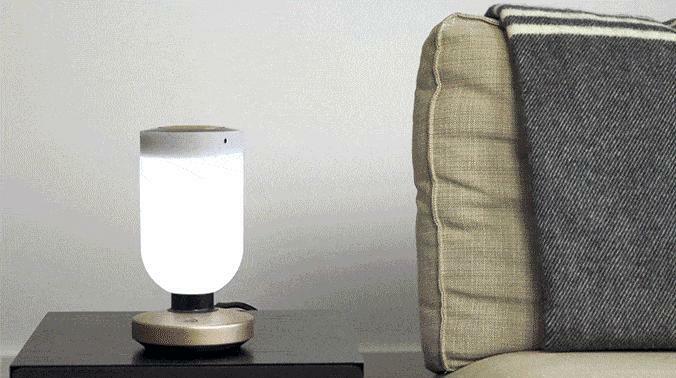 This customizable smart light transforms how you sleep and wake up. Its app controlled, works with Alexa and comes with Wi-Fi connectivity. Pre-order. 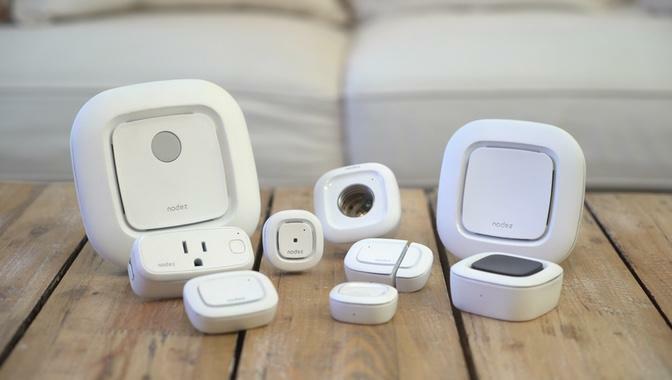 Nodez Smart Home Solution: Nodez is an affordable Smart Home solution that lets you turn your home into a smart home using a single app to control all devices. You can customize the Nodez by creating scenarios; it's simple to setup - just take nodez out of the box, open its app, and setup in seconds. It consists of Nodez hub, Nodez guard, Nodez plug, Nodez socket, Nodez remote, Nodez buttons and more. It lets you monitor, control, automate, and more from anywhere. Pre-order: $196. 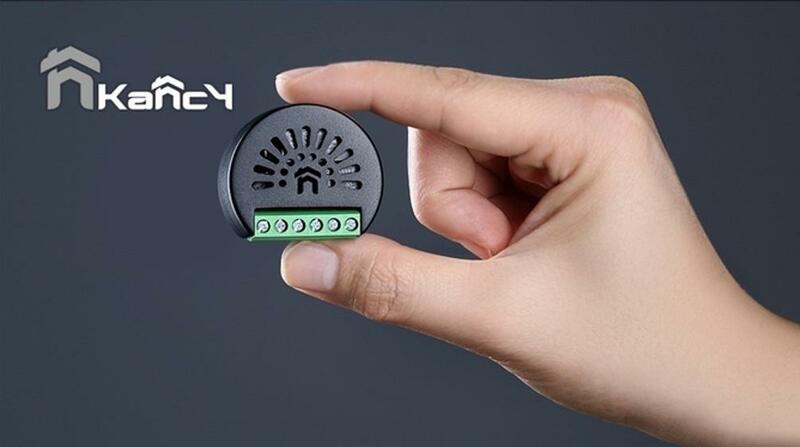 Kancy Universal Smart Home Switch: Kancy is a compact smart switch that lets you control and automate your existing home appliances and devices with just the swipe of your finger. It makes your existing devices smarter while cutting down the cost of changing your old appliances. Anything that plugs into an outlet can interact with Kancy. It lets you control any electrical device in your home - lighting, stereo set, coffee machine, water heater, A/C, and more. Its app is iOS and Android compatible. More info. Model 3 Water Heater: Model 3 is an advanced Wi-Fi enabled tankless water heater that uses patented Ohmic Array Technology to heat water, endlessly, on demand. It has the ability to pump up to 100 A and heats water up to 4 gallons per minute. Its app gives you the insights into your water (set temperature, amount of water and more), energy usage and let you control it. Its compact, measures 12" x 12" x 12" and is easy to install. Pre-order: $389. Linbell Wireless Doorbell: Linbell is a batteryfree wireless doorbell that's programmable, easy to install, and requires no wiring. It's entirely self-sufficient, and transforms the kinetic energy of the switch actuation. It comes with 36 types of ring tones and adjustable volume. Buy Now: $24. Turn Touch Smart Home Remote Control: Turn Touch is a smart home remote control made from beautiful mahogany wood, features four buttons that lets you control Hue lights, Sonos speakers, smart devices, apps, and more. It works on iOS and macOS, and gives you control of your music, videos, presentations, and more. Pre-order: $69. Infini Smart Home Hub: Infini is a smart home hub that makes managing your connected home devices easy. It features an easy-to-use interface and beautifully designed touchscreen that allows you to interact with apps conveniently. It has an open API; you can download Spotify, Sonos, Uber, WeMo, Withings, Z - Wave and more from the Infini marketplace. iOS and Android devices are supported. Pre-order: $199. iJINI Smart Home Robot: iJINI is a smart home robot that lets you control your connected devices in your home. It features various wireless communications - LTE modem, WiFi, Bluetooth, and Zigbee. It features face, voice, and motionrecognition. You can schedule alerts, play songs, storytelling for kids, make video / regular call and messaging. It gives you lifestyle information such as weather, news and recipes. It lasts for up to 6 hours, has dual speakers, 4" screen max speed of 360mm/s and more. More info. 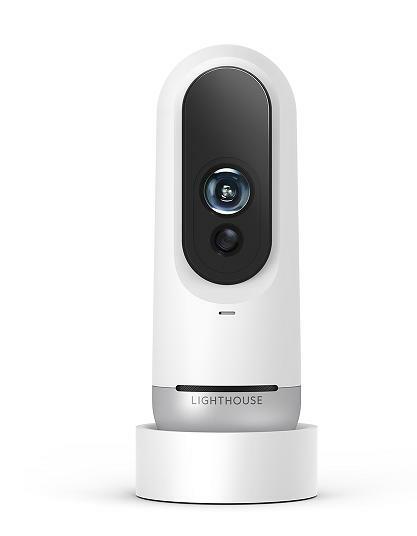 Lighthouse Security Camera: Lighthouse Security Camera uses AI and makes your life a lot easier. Based on whether you're home, it automatically enables and disables alerts, so you, your family and trusted guests can come and go without unwanted alerts. It uses facial recognition and learns your household's members and guests, so you know instantly who's coming and going. You can set specific rules for notifications, for kids coming home in time, dog out for a walk, and more. It comes with night vision so you can keep watch even after the lights go down. It encrypts using bank-grade TLS/SSL with 2048-bit keys and AES-256 session encryption. Pre-order. 15 Best Gifts for Husband. 15 Best Gadgets To Increase Office Productivity. 15 Must Have Gadgets For Your Living Room - Part 2.